What is SQL & SQL versions? What is characteristic of SQL? 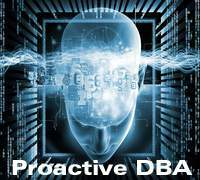 If you are in expert remote dba career and providing remote dba services to your clients then you should at least know version of SQL because every time you execute SQL in database for retrieving required output. SQL was introduced by IBM in the 1970. The first company to implement SQL commercially was Oracle. These two companies were followed by several other companies. Each of those company introduced different version of SQL with some variation. In short, many versions of SQL were available in global market. Due to this reason and making single one SQL instead of various SQL in market, it was standardized. SQL was official standard, broadcasted by ISO and ANSI on 1986. The early versions of SQL like SQL86, SQL89, and SQL92 etc were combined in to SQL99 with implementing more features. The SQL92 standard builds on the previous standard SQL with some changes and variations in code. Newest SQL and standard is SQL99. Later on SQL2003 and SQL2008 were also standardize. This is an extremely complex work, and it is not yet clear how much industry support it will attract. Rather than having a series of conformance levels, each incorporating its predecessors, SQL99 has basic functionality called "Core SQL" and various optional enhancement levels. SQL is basic language for all databases. Full form of SQL is Structure Query Language. But SQL is more popular as Sequel Query Language. Due to this reason SQL called as Sequel. SQL is pronounced by sequel; the letters originally stood for Structure Query Language. SQL used by all DBMS like DB2, Oracle, Microsoft's SQL Server and Access, Sybase, Informix, MySQL, mSQL etc. After standardization of SQL, it becomes more sophisticated and easy. Typically a relational database product includes more than the DBMS called as "back end". SQL is only language to manage all back end databases. Using SQL, we can store data, manipulate and retrieve from database. Here database is called as Engine which resides at Server. 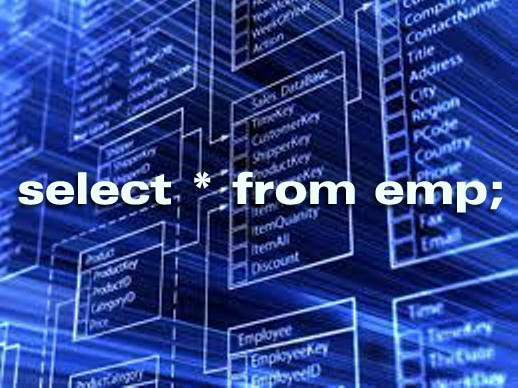 Interactive or stand-alone SQL is engaged by users to directly extract information from or enter it into the database. 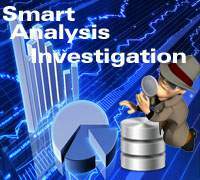 For example, a user could ask the database to construct a report of financial activity for the specific month. The output would merely be sent to SQL screen or save in to particular file. Static SQL is fixed SQL code, written in advance rather than generated at runtime, used in applications. By fixed SQL code, we mean that the statements themselves do not vary, although they can contain variables or parameters that pass values to or from an application. There are two versions of static SQL. In Embedded SQL, SQL code is incorporated into the source code of another language. Most of the application is written in a language such as C++, Java, and VB etc, but when the database needs to be addressed, it is done in SQL. This is the version that uses variables to pass values around. Dynamic SQL is SQL code generated by an application itself at runtime. It is used instead of the static approach when the SQL code that would be needed cannot be determined at the time the application is written. It depends on choices that the user makes. This form of SQL often can be generated by tools such as graphical query language in response to user activity. Both Static SQL and Dynamic SQL supplement stand-alone SQL with features that are applicable only to their situations. 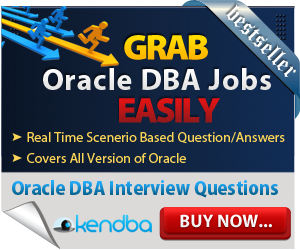 You need high expertise for managing different versions of Oracle database on various operating systems. 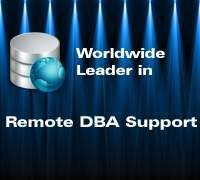 Expert remote dba team offers uninterrupted database operations execution smoothly. 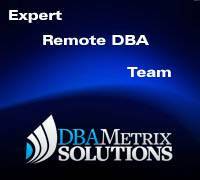 Dbametrix offers professional remote dba services for Oracle databases with strong service level agreement with lowest cost. 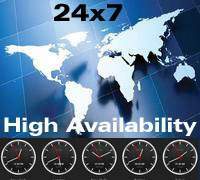 You can get experienced senior level database services 24x7 with strong response time. 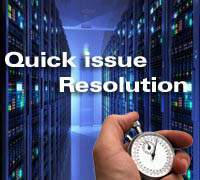 Dbametrix is having expertise in all kinds of Oracle database support.